Come on in to the Comfort Inn hotel in Pensacola, FL near Sam's Fun City and the Naval Air Station Pensacola. Other nearby attractions include the Pensacola Christian College, West Florida Regional Medical Center Heliport, Fast Eddies Fun Center, Civil War Soldiers Museum and Fort Barrancas. 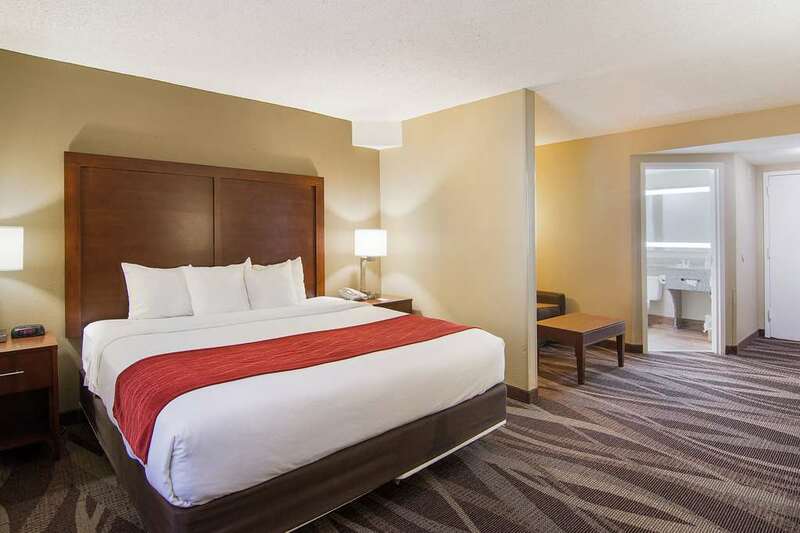 Hotel amenities like free WiFi, free breakfast, a fitness center, outdoor pool and a free weekday newspaper cater to business travelers and tourists alike. Rooms are furnished with a flat-screen TV, coffee maker, desk and hair dryer. Also, earn rewards including free nights and gift cards with our Choice Privileges Rewards program. Credit cardholder must be present with valid ID at hotel. Must be 18 or older to rent rooms.Cash paying guest will be required to have a valid credit/debit card with the registered guest name and a valid government issued I.D.